Being a writer must have intentions and determination we need not fear try because we must continue to hone our ability if we like to write, we can channel our hobby and also can make money sendiri.kita also have. Lots of knowledge about the events that are happening in the community. Being a writer must be innovative and creativity can make the reader more dramatic while reading our work. Honestly if I myself prefer to write while imagining and imagining things that might happen. 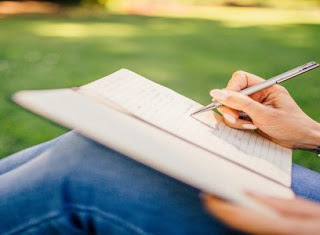 If there is an incident then we can make the direct writing that we make because it is one of the good start to be a writer according to my own as well. We can also start by writing diaries containing experiences that make us happy and sad. I think being a writer does not need material that is difficult or expensive because the author's capital is pen or pencil as well as a book. So do not ever be afraid to try and start things that we enjoy, keep trying and hone this ability that we take ini.menulis we can also do when we are more relaxed, and do not get stressed when writing, because if again stress all the work we do is wrong all. make it as a remover stress and reduce the burden of our mind.